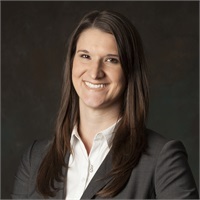 Tessa Elrod is a Certified Financial Planner™. In 2009 she graduated from Texas Tech University with a Bachelor of Science degree in Personal Financial Planning. Prior to joining Strategic Financial Advisors she worked for five years for United Capital Private Wealth Counseling, a California based registered investment advisory firm. During her time with United Capital she served as an integral team member in the development of their Advice and Planning Group and then went on to work as a Client Relationship Manager in Bethesda, Maryland and Houston, Texas. Tessa holds a FINRA Series 7 and 66 licenses in addition to her Texas Life and Health Insurance License.